The Rural Racer Project, a custom motorcycle collaboration between Velomacchi and Yahama Motorcycles, is to be unveiled as a work-in-progress on Friday, Feb 9th at the One Moto Show in Portland, Oregon. Velomacchi, an Oregon-based premium motorcycle accessory and lifestyle brand, developed the Rural Racer Project with Yamaha Motorcycles to showcase the companies’ mutual roots in moto heritage, technology, and innovation. The project also aims to illustrate the versatility and mod-ability of the new Yamaha XSR700 platform to meet the diverse riding needs of the Pacific Northwest. The Rural Racer Project pays homage to urban-dwelling adventure moto culture; the self-taught mechanics willing to pay their own way, build their own vehicles, and escape into the hills whenever possible. Embracing like-minded values, Velomacchi and Yamaha have teamed up to create the ultimate bike that combines their mutual respect for Americana heritage with modern technology, precision engineering, aggressive riding, and backcountry exploration. Yamaha’s new XSR platform boasts a liquid-cooled, DOHC, 689cc parallel twin engine renowned for smooth and consistent power delivery, powerful torque and hard acceleration. Numerous modifications and technical adaptations allow the bike to carry extra gas, tools, and overnight gear into remote environments. A custom leather seat inspired by vintage Yamaha Enduro bikes provides additional under-seat storage for gear and documents. 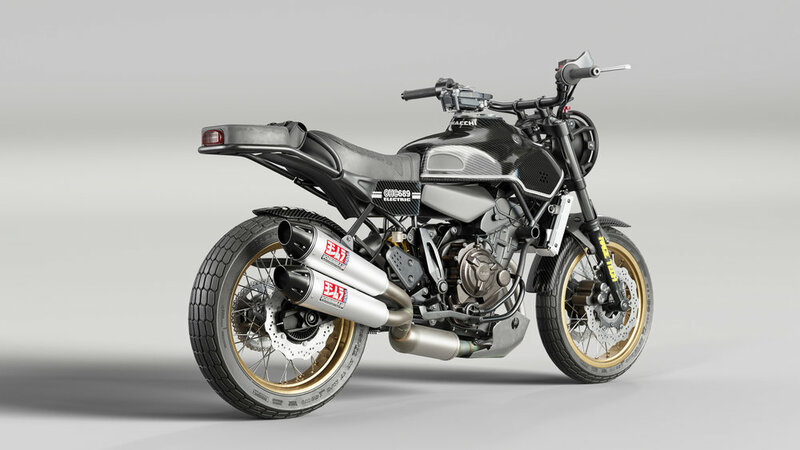 The Rural Racer XSR700 will also feature a custom Yoshimura R&D exhaust with a newly designed catalytic converter that’s more powerful, lighter weight, and environmentally compliant in all 50-states. The bike’s rear shock and front fork are also customized for aggressive backcountry riding by Race Tech. Integrating modern technology is also a cornerstone to the Rural Racer Project. 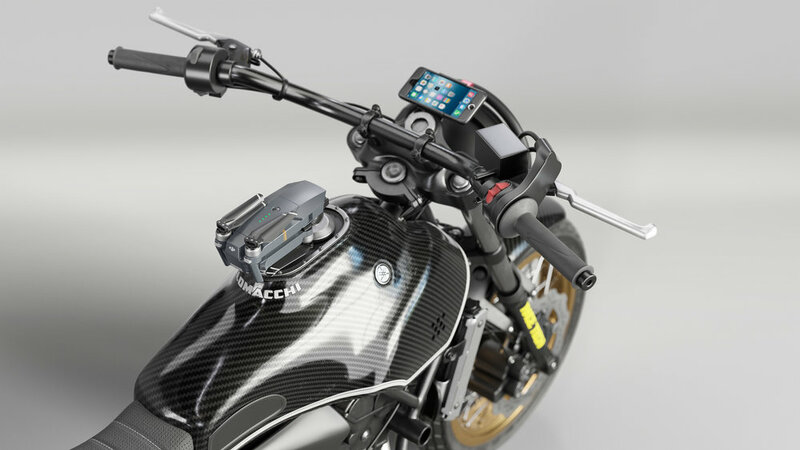 The bike’s build team is working to create a modified ignition that starts upon smart phone facial recognition, and also runs the tachometer, speedometer, and GPS-enabled navigation utilities. The Rural Racer XSR700 will also utilize modern drone technology from DJI that includes a drone mount on directly the fuel tank that provides a gimbal-stabilized camera perspective while riding and rapid overhead drone deployment. 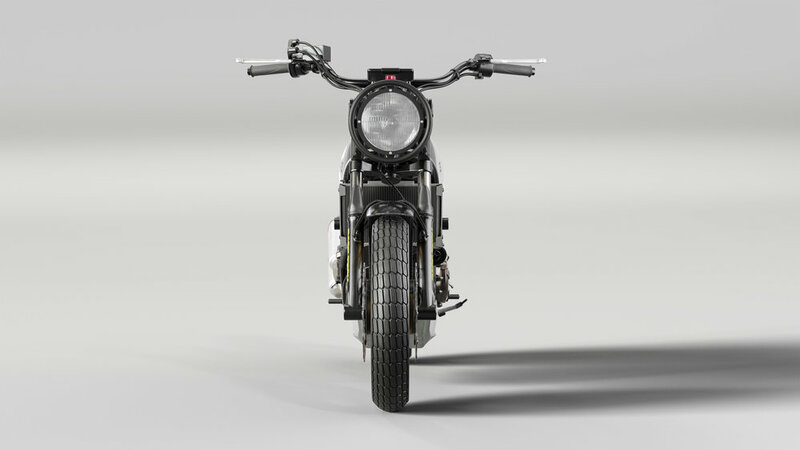 The Rural Racer XSR700 was unveiled as a “work-in-progress” at One Moto Show on Friday, Feb. 9 in Portland, OR, with the grand completion to be unveiled in April at the 2018 Handbuilt Show in Austin, TX.